Brawl Stars Tier List, Best Brawler to Use, Brawl Stars Meta Analysis. A tier list is a list that organizes the brawlers into divisions based on how strong they are, and how viable they are in the current meta game. They usually shift around quite a bit due to new strategies, balance changes, new map releases, new game modes, and new characters. All of those factors are considered when giving them a rating out of 10. The S Tier is the best category, followed by the A Tier, then the B Tier, and at last the C Tier which is objectively the worst of the brawlers. With the huge new update also came the new meta. The new characters changed the game a lot and the new mode can be talked about as well. This tier list will use the same format as the last one, only the new brawlers and game mode will also be talked about as well as the individual mode rankings removed as they were just too confusing and could contradict with what the brawler was actually capable of. Let’s check out which brawlers made the biggest splash in this new update! These brawlers are the cream of the brawl stars crop and versatile in just about every gamemode, they usually can be huge difference makers! 9.5 Dynamike really BLEW up recently! (I know, I’m sorry) We missed the last balance update tier list, but in this update he still holds the top spot! In our last tier list we saw potential with his high AOE damage to be a huge threat and with a nice few buffs, he shot to the top. He isn’t as strong as he was before because of a nerf to make him less OP in showdown, but no one can really be as dominant as Dynamike is right now. His huge damage output discourages enemies from chasing him, and his ability to wreak havoc over walls is almost too much. He is great in every gamemode, and easily holds the top spot on our list. 8.8 The only brawler to stay on the S tier from our last list, Bull was catapulted above Barley because of his strong presence in Brawl Ball. 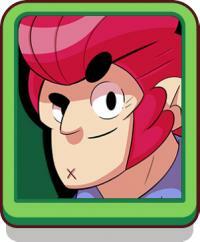 He is still strong in Showdown unless against a Dynamike or Barley, he is also still the best brawler to 1v1 at close range. 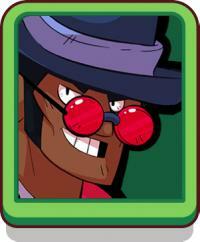 Bull is the best enforcer in the game, with El Primo close behind. Enforcers are huge in this game, as there is not very many of them and they can really force an enemy away with their very presence. Playing Bull adds an element of challenge in Smash and Grab as is is difficult to get up close to the enemy team, especially in a map with less bushes. 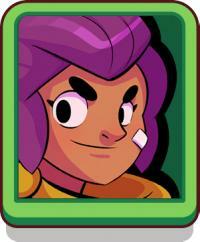 8.7 Barley plays similar to Dynamike, with their unique ability to attack over walls. What makes Dynamike stronger is his potential for higher damage. If Dynamike can land his attacks often, the fight is over before it starts where Barley’s ultimate is his only source for high damage. To win a fight with a Dynamike Barley will need to get his ultimate faster by landing more abilities. When a Barley gets his ultimate in a 1v1, it’s all over but the crying. Still, he shot up from a C to an S with one update like Dynamike. Play him while he is still strong. 8.4 Our last S tier brawler is a new brawler! 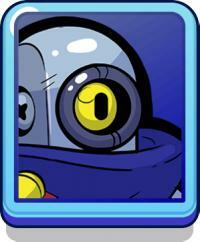 To have Tara so high up in the tier list is controversial especially with her recent nerfs, but I believe that the possibility of technical skill you can have with Tara is close to Mortis’! She is a more supportive brawler, so playing aggressive with her is a bad idea but her brawler manipulating ultimate is a huge game changer. Combined with someone like Dynamike or Barley, teamfights are so heavily one sided that they can’t even be qualified as teamfights. If you take the time to master Tara, you will be rewarded well. If you are lucky enough to even get her, let me know and I will be forever jealous. 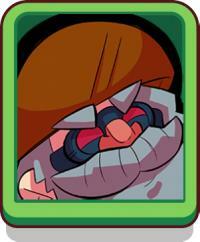 These brawlers aren’t Overpowered, they are just useful in most gamemodes and can really turn the tide of the game! 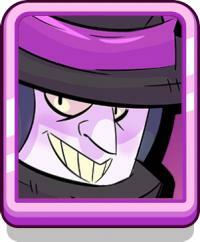 8.2 Mortis was always a good brawler with a high skill cap, but addition of brawl ball pushes him almost to S tier. His dashes can close the gap to pick up the ball easily, making him a teams primary ball carrier. Now that he has been bumped up to Mythic rarity, he will be even more difficult to obtain now, so think yourself lucky if you got him before that big update. Unfortunately, he was nerfed although it doesn’t change his playstyle much. 8.0 Colt was always an underrated pick for me, and with the nerfs to Piper and his recent buffs, he is deserving of a high A tier pick. His strong close up damage makes him great in most situations, but he does require you to land his attacks most of the time in order to be effective. Overall, a great basic brawler to practice landing attacks with. 7.6 Pam was an annoying brawler before her buff to say the least. Now that her ultimate is even stronger, she is a fantastic supportive unit who can provide consistent damage, similar to Poco. Because she is more tanky than Poco, she can survive in a fight longer. 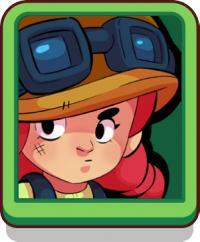 The reason why she is ranked ahead of other strong brawlers like Spike and Brock is because as a healer, she has a unique way of effecting team fights that most brawlers don’t have. 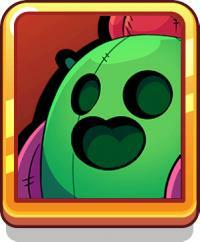 7.5 Still a good brawler, Spike has been one of the most consistent brawlers in the game. Whereas some brawlers have high highs and low lows, Spike has always been a powerful force on his own and in teamfights. His spike explosions are great for checking bushes, and can sometimes be the difference between winning and losing. His main downside is that he is a legendary, which doesn’t affect his play but means that there is a lot less players to obtain him. 7.3 Our last A tier brawler, Brock’s recent buffs help him be more of an effective pick. Now with faster flying rockets and higher health, he is a source of high damage output. If you can successfully lead your attacks, you can get your ultimate up quickly and it almost guarantees a kill if used correctly. His lack of versatility makes him this low on our list. 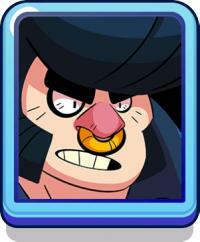 These brawlers have potential, and probably need a little buff to get them to a good place in the meta. They are usually more situational picks. 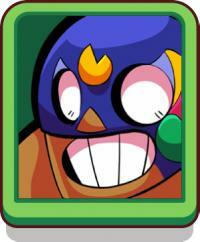 7.0 El Primo is slowly getting back to where he was at the beginning of the game when people thought he was overpowered. This bulky brawler has taken a backseat to Bull for a while, and we think it will stay that way unless he get a large buff. His one big benefit over Bull is that his ultimate makes him untargetable, which gives him a chance to dodge a Shelly ult and outplay the opponent. Make sure you use this to full effect if you want to pick Primo over Bull. 6.9 Once one of the strongest brawlers in the game, Piper was nerfed down to size. Still a strong brawler with her big damage and getaway ultimate, but she has trouble carving her niche in a particular gamemode right now, although playing her isn’t necessarily a bad idea depending on the enemy team. 6.8 Shelly used to be the strongest brawler in the game. She had a pretty big range decrease, and now she has become more of a situational Showdown or Bounty snake prairie map brawler. She used to be the best duelist in the game, and now is a bit weaker in that category but if used smartly she will be useful. 6.7 Poco used to be higher ranked because of his unique healing ability. Now that Pam came into the game, he has taken a backseat to her especially after her buff. The main reason why this is is because Pam is one of the tankiest units in the game so she can survive and harass longer than Poco. 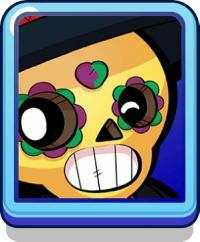 Pam is an epic though, and if you are looking for a healer to play but don’t have Pam then Poco is still a solid brawler. 6.6 The large nerfs to Crow’s poison attack really hurts his already low damage. He still plays the same way as before, but can only do well in the hands of a very patient player. 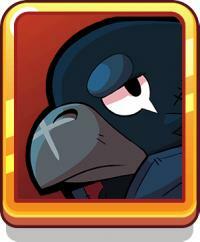 For the sake of the general Brawl Stars players reading this, if you are lucky enough to unlock Crow, then by all means try him out although he needs to be played very passively. These brawlers are poor compared to other brawlers and have lower use rates for a reason. 6.4 Bo received a HUGE buff in the big update, but he was severely nerfed in the next changes, bringing him from an S tier brawler to a C tier brawler. His spread out attacks are unique, and if his explosive mines are placed in good spots, he can carry his team to victory. His uniqueness is what brings him to the top of the C tier list, but he is struggling to find a place in the meta. 6.3 Once again the worst of the long ranged brawlers, Rico has seen multiple buffs that hasn’t really helped his playrate. His unique ability to bounce shots off of walls usually isn’t useful, and the fact that he has the longest range in the game doesn’t help either. So why is Ricochet so bad? I believe there was a Reddit article on why he is so weak, despite the buffs he has gotten. The reason why is because his shots are too spaced out. His pool balls are too spread out in his attack to hit every single little shot like Colt’s nice, close together bullets. That is why he will never be a popular ranged brawler unless he gets a huge buff to another part of his character or his spread out attack is fixed. 6.2 Jessie has seen her useage go up and down, but currently it is falling ever since her turret nerf. Don’t get me wrong, I still think her turret was too strong before but now she seems underwhelming. Her one positive is that her turret is a unique enough ability to change a game and possibly make someone want to play her. 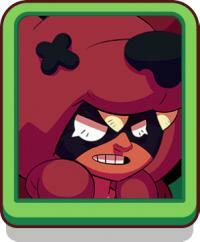 6.0 Nita got a large nerf a few patches ago to her super, making her bear extremely slow to bring out. This really shot down her usage rates, and she wasn’t that strong to begin with. At the moment she is underwhelming, but this Brawl Stars team is usually pretty good with quickly fixing underwhelming brawlers. That’s it, my tier list for the recent meta. As it is with all tier lists, your opinion will probably differ from mine in terms of where I have put some brawlers, but if you feel strong enough about what you think, then feel free to put down in the comments what you would change or maybe even make your own Reddit article. I will be taking a bit of a break from posting on this site, as I have a life outside of Brawl Stars (gasp) and will be back to posting as soon as possible. My Twitter is @Awfulwaffles1if you are into that sort of thing, but if you aren’t or just don’t like me enough to want to give me a follow, I forgive you in advance. ;) Thanks for reading! Is the Legendary the best of all time? It's not definitely. I believe many players love to play Shelly the starter unit. Each unit has pros and cons, there are 4 game modes ( including Smash & Grab, Bounty, Heist, and Showdown), and combination with the other types of unites is really important. Those elements make the game not simple P2W and give even common units chances to be a star player. Note: Some character's attack stats get updated after the update on July 1-2. The main attack stats table below will be updated soon! CR - Casting range: the area by which the characters attack goes. where the hell is penny?????????? Where did you get such Detailed statistics? e.g. the Projectile Speed? Sorry but there is no doubt that Tara is bottom tier and primo is better than bull. Yeah ! absolutely. All these wier lists on the internet do not make any sense! 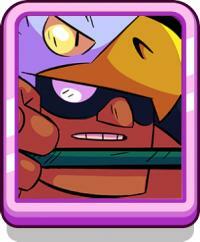 Poco is one of the worst at heist and you ranked him at A, when El primo is definitely better at heist than poco, and he is ranked B. 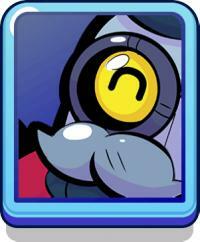 Also colt can be fairly good at showdown, i think he should be rank B or even A, and once agan, poco and crow are ranked B ahead of colt and they're definitely not better at showdown than colt. The list is almost spot on, but the rankings for the certian game modes are a bit off at some points. Maybe research a bit more and makes some tweaks for an ultimate brawler list! Nice Work! On the contrary, I think Dynamike is a very underrated pick and can be useful at every level. He has the ability to make a big impact on the game. Are those new characters true? Great, I look forward to read the upcoming tier list!